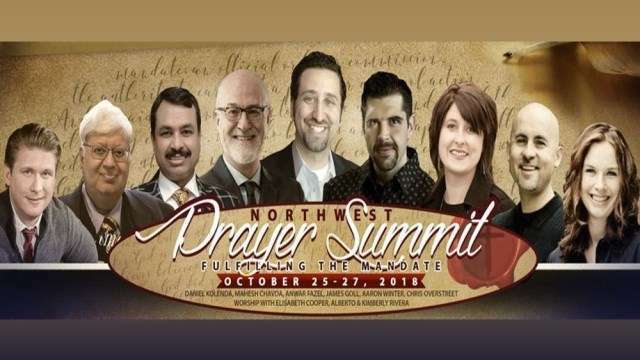 This historic three-day event is a regional gathering of believers, who are coming to fulfill a God-given mandate to ignite a new kingdom movement in our city, region, and nation. 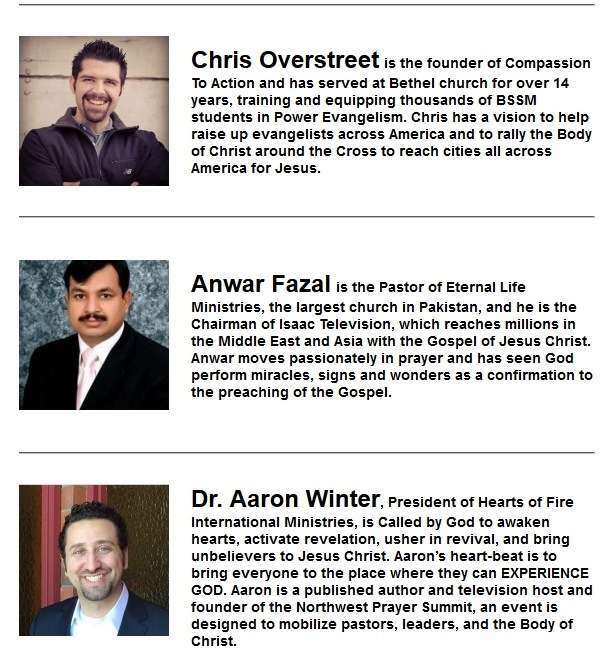 What if the mandate to pray is what builds and sustains the movement? 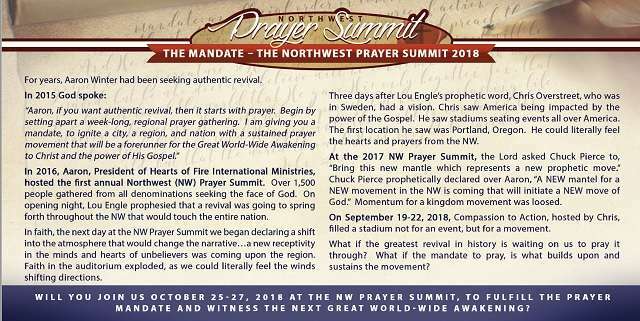 Will you join us to fulfill the prayer mandate and witness the next Great World Wide-Awakening? 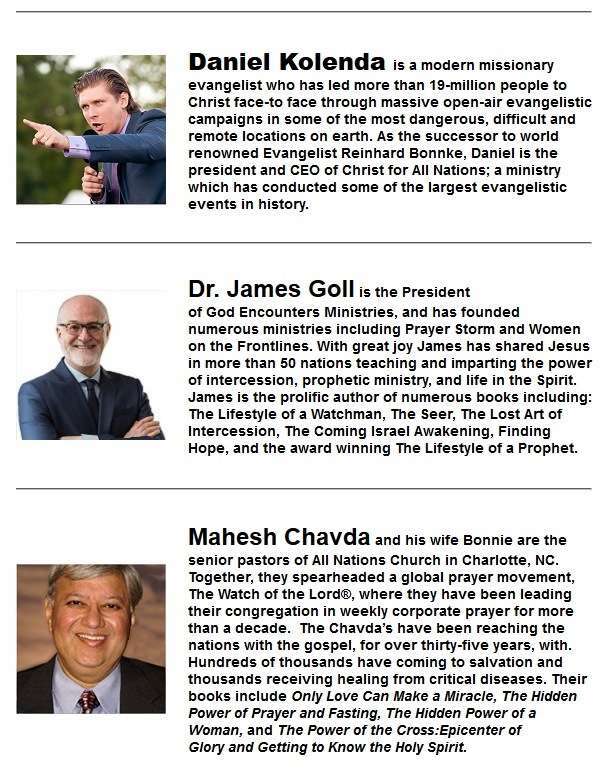 This event is complimentary for Kingdom Flame Monthly Partners donating $10 a month or more. If you are not a Kingdom Flame Monthly Partner please select a one-time Web Stream Package below. For more information on subscribing as a Kingdom Flame monthly partner, Click HERE. Combo 1- Web Stream Plus a DVD Set- Save $15.00! 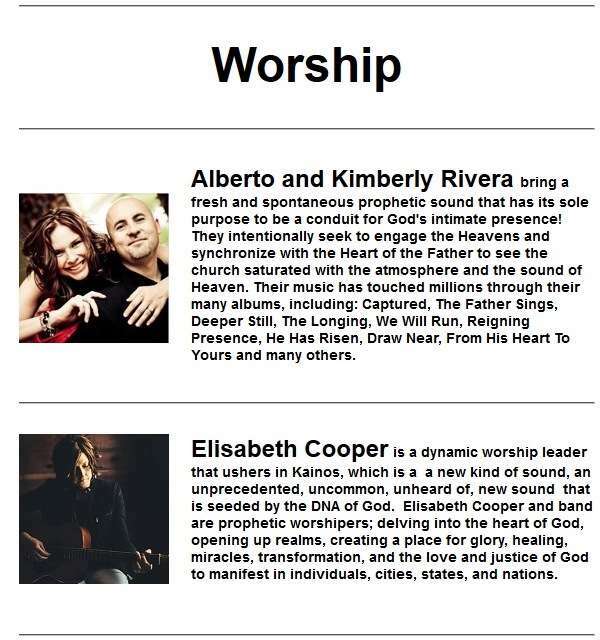 This combo includes the Live Web stream and Replays PLUS a DVD Boxed set with all the sessions from the Conference. Combo 2- BEST BUY! Web Stream Plus BOTH MP4 Video and MP3 Audio files USB Flash Drive – Save $30.00! Combo 3- Webstream Plus an MP4 Video Disk – Save $15.00! This combo includes the Live Webstream and Online Replays PLUS a Boxed set of recordings on DVD Data Disks with the sessions from the Conference in .mp4 video format. You can store and play these videos on your PC or Apple computer, Iphone, Ipod or Ipad and Android Phones and tablets and on some DVD players that have MP4 capability. Combo 4- Webstream Plus an MP3 Audio Disk – Save $15.00! This combo includes the Live Webstream and Replays PLUS a Boxed set of recordings on a CD Data Disk with the sessions from the Conference in .mp3 Audio format You can store and play these audio files on your PC or Apple computer or MP3 Capable CD Players (including many newer cars) or transfer to your phone or tablet .